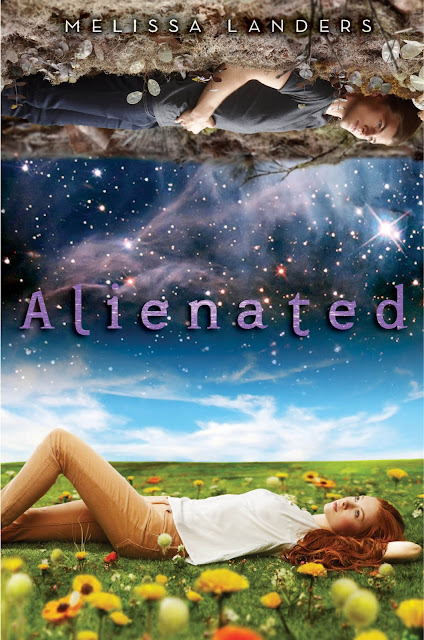 Honestly YA: Ten authors, One love. : A Very Special HUGE Announcement! A Very Special HUGE Announcement! Once upon a time, when I was sixteen years old, my great-uncle took me to see my very first Broadway-style production—Brigadoon! As the curtain lifted, I was swept away to a world of magic, beauty and gorgeous boys in kilts. It would be easy to say I fell head over heels in love with the story, but one issue bothered me for the next twenty years: The portal to Brigadoon opened once every hundred years and when the portal closed, all its inhabitants…slept. Really? What a dull existence in an otherwise enchanting kingdom! One cold winter day, I was discussing this gap between childhood expectations and reality with Carey—critique partner extraordinaire and diehard theater aficionado—and we decide to create the story the way we wished it had been; thus DOON, a reimagining of the musical Brigadoon, with permission from the Lerner and Loewe estates, was born. A mysterious letter and a set of magical rings lead two best friends to an enchanted bridge and a thriving land existing outside of time and place. The Scottish Kingdom of Doon is quite possibly the answer to everything missing in the girls’ lives—excitement, a sense of belonging, purpose and love—including two handsome princes. 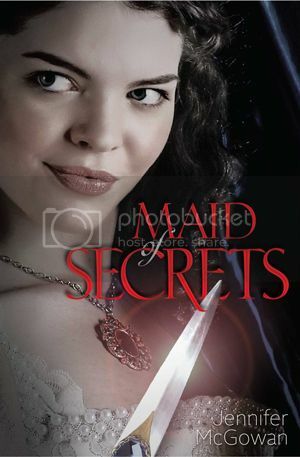 However when a vengeful witch bent on destruction threatens Doon’s very existence, the girls must find a way to save the kingdom and its people before they disappear forever into the mists. 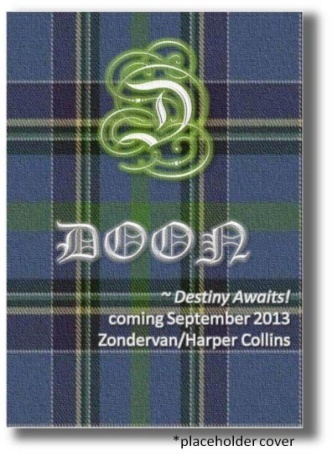 We are humbled and thrilled beyond words to announce that all four books of the DOON series will be published by Zondervan/Harper Collins in hardcover, the first to release in September 2013!!!!!!!!!!!!!!!!! We are grateful for the privilege to be able to celebrate first with all of you here at Honestly YA. Thank you for sharing in our miraculous journey! *Hit “Like” and hover over the button, select “Get Notification” to receive the latest DOON news, character profiles, speak peaks, and bonus content. 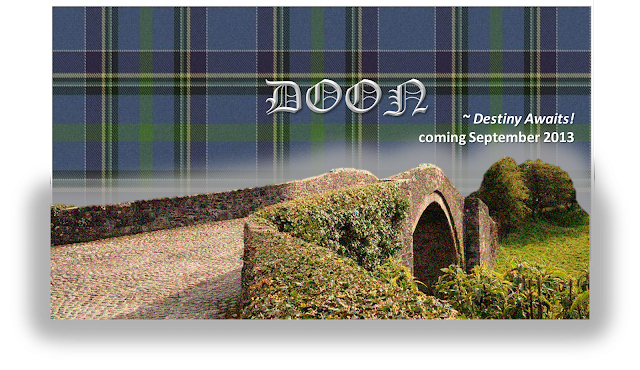 Our official DOON website: Coming Soon! Get your official DOONspiration limited edition/collector's merchandise before it's cool! Congratulations! That is amazing news! DOON is positively magical, and I can't wait to hold it in my hands! Many congrats, guys!!! I just heard the news from Melissa in the Luckies. Huge congrats! I'm so happy for you two! Yay! Congratulations!! This is such exciting news, and I'm thrilled for both of you. 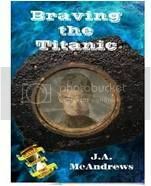 The story sounds so intriguing, and I'm looking forward to reading it. *Throwing virtual confetti*!!!!!! So excited that you're finally going to share this *awesome* story with the world!! CONGRATS, ladies! Thank you so much, Ladies! It means more than you know to have you celebrating along with us. Big squishy hugs!! I'm so thrilled for you ladies! It's been a long road for you -- but you remember how Tommy regained access to Brigadoon, don't you? The same faith and love have earned you this success at last. CONGRATULATIONS!!! Aww, Jen I just teared up a little bit! This journey has taken massive amounts of faith and love, and I suspect we'll need more of each along the way. Thanks so much for celebrating with us! Congratulations! This sounds like a wonderful story! OMG!!! 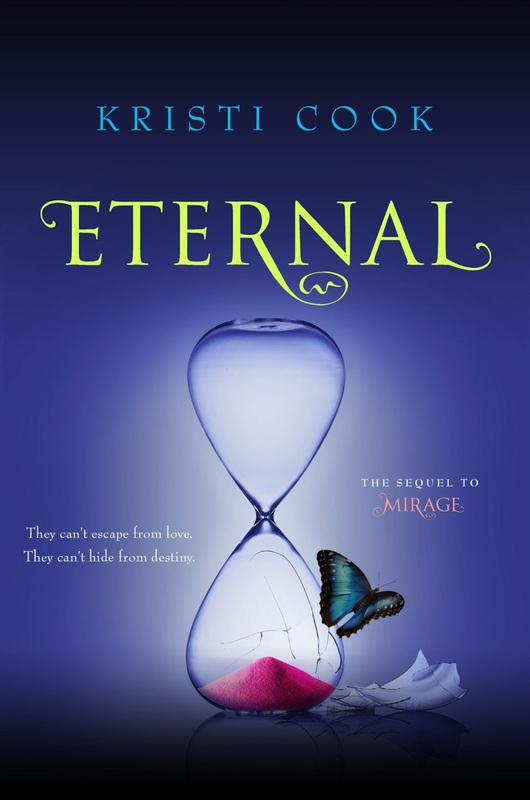 you guys, I am so excited for you both... Can't wait to add all four of them to my shelves. HI Lucy! Thanks so much! Send me an update on how things are going with you, when you have a chance. Huge congrats! What a wonderful way to end the year! DOON has had a magical journey already, and I can't wait to see it now that it's hitting the shelves. CONGRATULATIONS and may you have nothing but amazing success with it!! I love Brigadoon and always thought the same thing about the big sleep. Good luck! I can't wait to read your take on such a magical place. A huge thank you Jo, Mel, Peggy, Pintip, Kristi, Jen, Christina, Lucy, Beth, Jennifer, and Margie for helping us celebrate our loooong journey. You've dried our tears and cheered us on. This story lives because of you. You are our magic! I hope you'll continue on the next leg with us!!! As I've said before, Congrats, congrats, congrats! No two people could be more deserving. Doon is a great story, and I can't wait to read all four! Four??? That's fantastic! How many months will there be in between releases? Thanks, Kim! 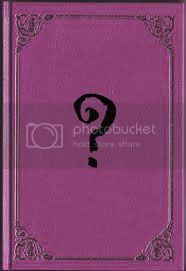 The books will be released every September for the next four years..so 12 months apart. Thanks again for celebrating with us! New Year's Eve: A resolution revolution!